Transportation player ComfortDelGro reported on Friday that its third-quarter net profit fell 2.0 percent on-year to S$78.5 million, which it attributed to a lower dividend from Cabcharge Australia. That was slightly above CGS-CIMB’s forecast for around S$77 million. Revenue for the quarter ended 30 September rose 8.5 percent on-year to S$967.9 million, mainly on new acquisitions, it said in a filing to SGX after the market close on Friday. Revenue was eroded by S$7.5 million on unfavorable currency exchange rates, mainly due to a weaker Australian dollar, it said. Dividend income for the quarter fell to S$500,000 from S$1.3 million in the year-ago period, it said. Operating costs increased by 9.5 percent on-year to S$854.5 million, amid an increase in staff costs as headcount rose to support SBS Transit’s Seletar Bus Package, higher mileage operated, new services and staff costs from newly acquired subsidiaries, higher fuel and electricity and repair and maintenance costs, it said. “Organically, our Singapore and overseas public transport business continued to do well with higher mileages operated. 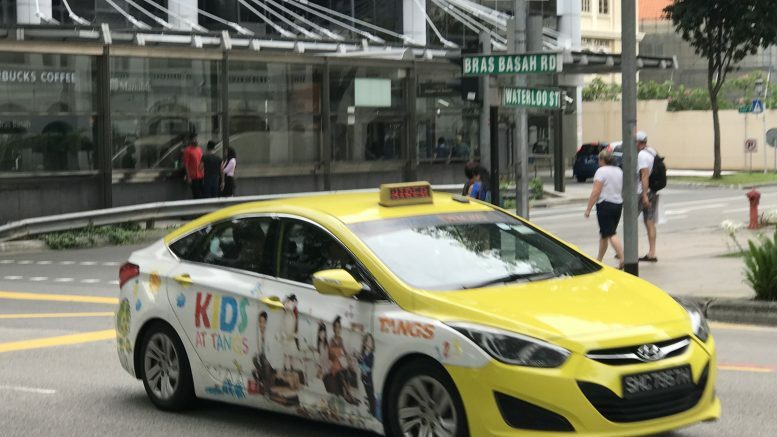 The Singapore taxi business has shown slight improvement compared to the last quarter,” Yang Ban Seng, managing director and CEO of ComfortDelGro, said in the statement. “Our inorganic growth has been strong. The acquisitions earlier in the year have started to contribute. For this year, we have invested over S$450 million in new acquisitions in Singapore, Australia, the United Kingdom and China. We will continue to be on the look out for opportunities to grow the business,” he said. In the public-transport segment, revenue rose 15.2 percent on-year to S$692.9 million on organic growth and on new acquisitions in Australia and the U.K., ComfortDelGro said. Rail revenue rose on increased ridership, but the segment still posted losses on higher operating and maintenance costs, it said. ComfortDelGro said it expected Singapore public-transport revenue would increase, both on the start of the Seletar Bus Package from March 2018 and from the Bukit Merah Bus Package, which was due to start in the fourth quarter of this year. Rail service revenue was also expected to rise on the full-year contribution of the Downtown Line 3 as well as regulators’ approval of a 4.3 percent fare adjustment to take effect near the end of the year, it said. But it added that the rail business still faced headwinds from rising operating costs. For the taxi business, revenue fell 8.4 percent on-year to S$182.0 million as the operating fleet shrank, it said, noting that weakness in the Australian dollar and Chinese yuan also weighed on revenue. But it added that it was taking delivery of up to 700 new hybrid taxis in Singapore by the end of the year, while new acquisitions in China, Australia and the U.K. would be contributing to the segment’s revenue. Analysts have repeatedly pointed to concerns about the taxi business amid competition from new entrants, such as Go-Jek, Uber and Grab. Earlier this week, Deutsche Bank downgraded ComfortDelGro’s stock to Sell on concerns that Go-Jek’s entry into Singapore’s market was bringing a price-war over drivers, indicating the taxi operator may have difficulty finding drivers for its taxis. In the inspection and testing services segment, revenue fell 0.8 percent on-year to S$26.1 million, as an increase in the Singapore operations was offset by ceasing the Beijing operations, ComfortDelGro said. For the nine-month period, net profit fell 9.2 percent on-year to S$219.8 million, while revenue rose 5.0 percent on-year to S$2.79 billion, it said. This article was originally published on Saturday 10 November 2018 at 10:42 A.M. SGT; it has since been updated.